Top Federal Universities in Nigeria and their 2017 Jamb Cut Off Marks. The featured Schools are UI, OAU, ABU, FUTO, UNIBEN, UNILORIN & UNIPORT. However, the Insight I will give here would apply to any high rated and competitive University In Nigeria. 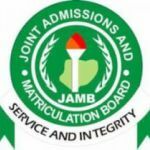 Have you ever wondered the Jamb 2017 performance and how the general cut off marks would look like? As usual, Jamb will assigned random cut off marks between the score range of 150 to 180 for various institutions. These institutions include private, state and Federal Universities and Polytechnics. The above statement is true. However, there are schools that are too big to accept that. Over the years, they have proven that no student who score anything below 200 will be admitted. These are the top Federal Institutions of Study. And like I stated earlier, they are UI, OAU, ABU, UNIBEN, UNILORIN & UNIPORT. The number of candidates that applied to study there. The score of students aspiring for various departments. Grade in WAEC and Neco Results. Preference to Merit, Catchment and Educational less developed states. FACT: The higher the number of candidates that apply to any Department in a University, the higher their Jamb cut off mark. For example, more candidates usually apply for Medicine, Law, Accounting and Engineering, this makes the cut of marks for these Faculties shift away from the general cut off of 200. As a medicine aspirant in any of the schools above, the least Jamb 2017 score you should have to gain admission on merit is 260.